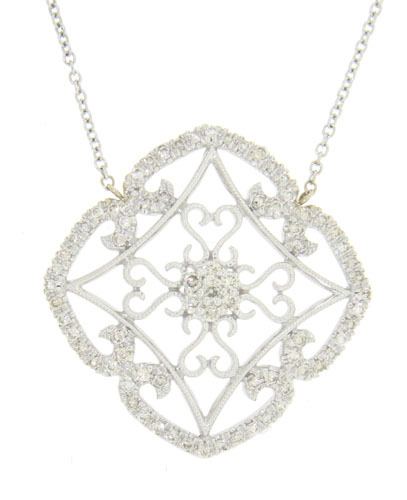 This elegant 14K white gold necklace is frosted with fine faceted diamonds and sparkling vines. The floral inspired pendant measures 1" square. The attached chain measures 16" in length.